Babies are amazing! In just twenty-four short months, infants go from barely being able to move to walking, talking, playing, and investigating. However, with all the miraculous growth children undergo in infancy, parents often worry that their babies aren’t developing quickly enough. How can parents make sure their babies don’t get left behind? Games! Simple games for babies help develop infant motor skills, language, cognition, and body awareness. 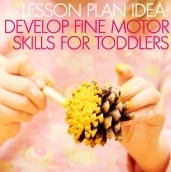 Below are a few simple activities inspired by Innovations: Infant and Toddler Development that will aid your baby’s development in motor skills, language, and cognition. Take a stuffed bunny (or any other soft stuffed animal) and bounce it in front of your baby saying “Here comes the bunny, bunny, bunny. Here comes the bunny to give baby a kiss!” Tap the animal on the baby’s forehead or cheek and make a kissing sound. Eventually, your baby will try to reach out and grab the bunny. Help her succeed by occasionally holding the bunny still and helping her pull it close when she eventually gets a grip on it. The grasping and reaching will build her muscles and motor skills, preparing her for when she can move around and pick things up on her own! Collect an array of small, simple objects that begin with different letters of the alphabet. Let your baby explore the objects for a minute, picking them up and looking at them. Hold up the different objects saying things like: “Ah, ah, ah, A is for apple. Can you say apple?” your child may try to imitate the word, or he may not; the important thing is that he’s hearing new words and alphabet sounds. Repeat with all the objects or until your baby gets bored. 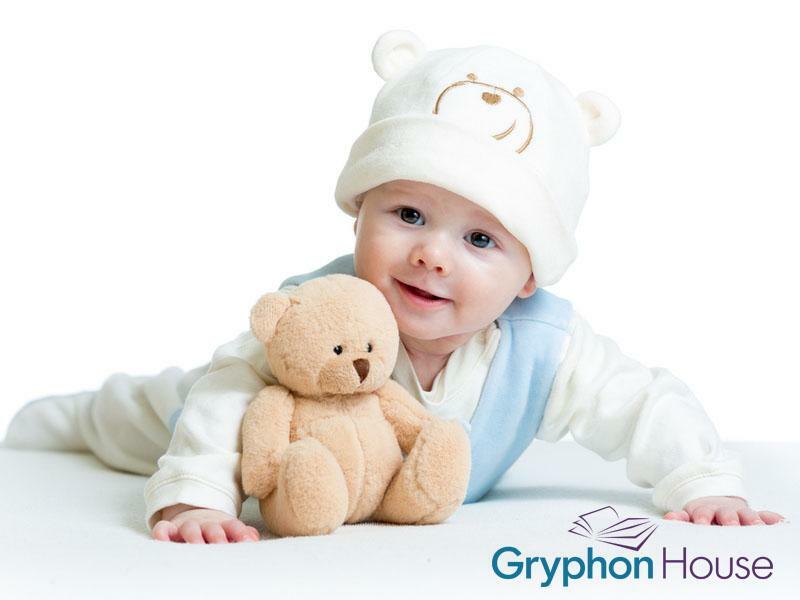 Take a teddy bear or other toy your baby is familiar with. Play with it for a few minutes, and then cover the bear with a blanket. Ask your baby “Uh oh. Where’s Teddy?” See if your child reaches for the blanket and tries to find the toy. If she doesn’t after a few seconds, lift the blanket and say, “There he is!” Repeat a few times and see if your child learns the trick. Object permanence—the understanding that objects still exist even when we can’t see them—develops around 6 months. Even after that, when a child comes to the understanding that they can find one object by moving another, they are learning basic problem solving skills.